We’ve been in Apple News for a few months now and surprisngly seeing some decent numbers in terms of traffic from the Apple News App. So just in case you havent worked it out here’s a guide on how to add us to your Apple news app. Apple Blocked News App In MainLand China with Cell Tower Location. 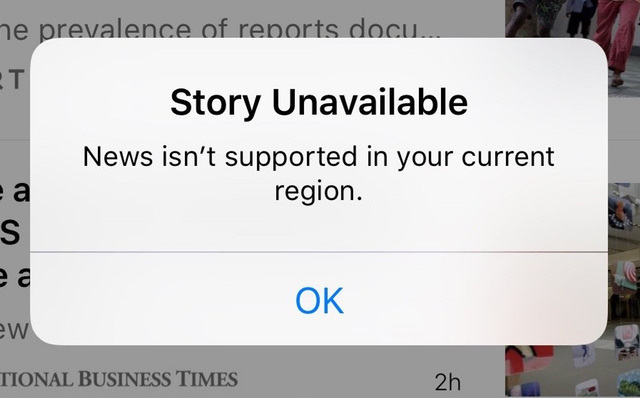 What’s going on with Apple’s iOS news app in China? It’s unavailable. That by itself is not surprising the only place available officially is in the USA though tests are said to be underway in Australia and the UK. Let’s say though that you have an iPhone or iPad purchased in the states and that that device had the news app downloaded in the states, then taken to China that news app on the US device will not work in China or near it even depending on how near near is. Continue reading → Apple Blocked News App In MainLand China with Cell Tower Location. 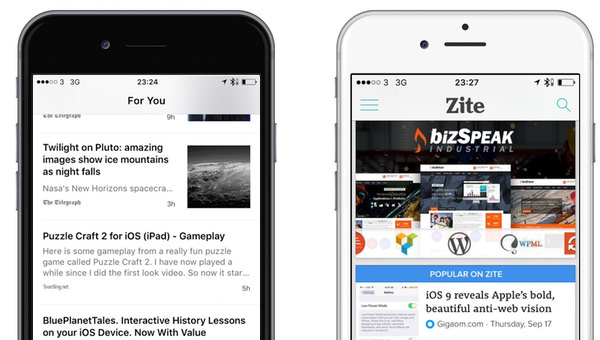 A lot has been said how Apple News is going to be the ruination of mobile advertising along with content blocking. Yet all Apple news really is just Safari “Reader” view with bookmarks. Essentially instead of going from a webpage to “Reader” view the process has been reversed.